Of all of the planets, comets, asteroids, and Kuiper belt objects in the solar system, Sedna is the only one that tells us this astounding fact so glaringly. The orbit of every single other object in the entire solar system can be explained, at least in principle, by some interaction with the known planets. Sedna alone requires something else out there. In our 2004 paper announcing the discovery of Sedna (give it a try; though it – like all research papers – has some technical details that might not make sense, I believe it to be relatively readable), we suggested three possibilities. Our first idea was that perhaps there was an unknown approximately earth-sized planet circling the sun about twice the distance of Neptune. Sedna could have gotten too close to this Planet X and been given a kick which would have flung it out into a far corner of our solar system. But, like always, nothing can kick you into a far corner and make you stay there. You always come back to the spot where you were kicked. So Sedna’s new orbit would be one that came in as close as this Planet X and went far into the outer solar system – just like Sedna’s orbit. Back in 2003 I had liked this idea a lot. Our search of the skies had only begun a few years earlier, so the prospect that there might be an earth-sized planet awaiting discovery seemed pretty exciting indeed. It was, admittedly, a long shot, but discovering planets always is. The third possibility was the one that we deemed the most likely. Instead of getting one big kick from an improbably passing star, imagine that Sedna got a lot of really small kicks from many stars passing by not quite as closely. The chances of this happening might seem low, too, but astronomers have long known that most stars are born not alone, but in a litter of many stars packed together. How tightly? In our region of the galaxy, there is currently something like one star per cubic parsec (don’t worry too much about these units here; suffice it to say that a parsec is a little less than the distance to the nearest star, so it is not surprising that in a box with edges about that length there is about one star). 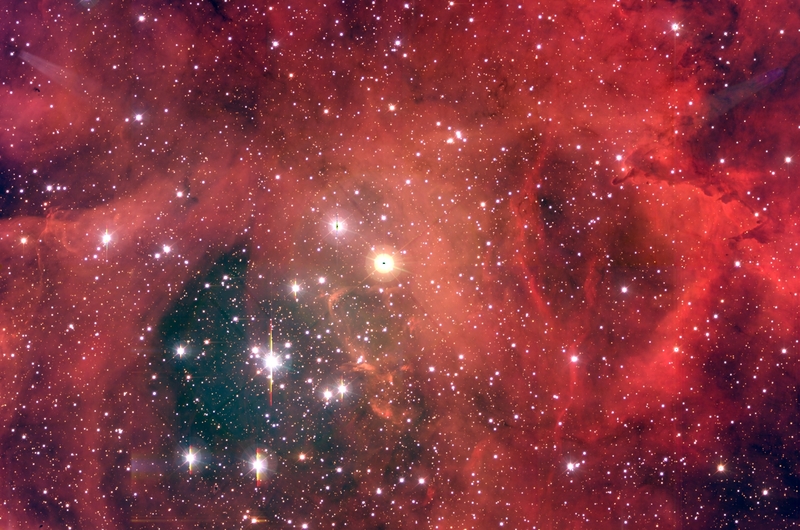 In the cluster of stars in which the sun might have been born there would have been thousands or even tens to hundreds of thousands of stars in this same volume, all held together by the gravitational pull of the massive amounts of gas between the still-forming stars. I firmly believe that the view from the inside of one of these clusters must be one of the most awesome sights in the universe, but I suspect no life form has ever seen it, because it is so short-lived that there might not even be time to make solid planets, much less evolve life. For as the still-forming stars finally pull in enough of the gas to become massive enough to ignite their nuclear-fusion-powered cores they quickly blow the remaining gas holding everything together away and then drift off solitary into interstellar space. Today we have no way of ever finding our solar siblings again. And, while we see these processes occurring out in space as other stars are being born, we really have no way to see back 4.5 billion years ago and see this happening as the sun itself formed. All of these possibilities are exciting! A new planet! A rogue star! Fossils from the birth of the sun! And in the years since Sedna’s discovery other astronomers have chimed in with their own ideas, including the possibility that Sedna was kicked by something large out in the Oort cloud (small planet? Brown dwarf? Nemisis? Who knows) and, in the most imaginative spin, that Sedna was kicked by the sun. The sun? Yes, because, in this hypothesis, Sedna used to orbit a different star, and the sun got close and kicked Sedna around and stripped if away. Sedna would then be the first known extra-solar dwarf planet. Or something like that. Sedna is telling us something profound, but what? With only a single object, there is absolutely no way to know. It would be like finding a fossilized skeleton of a T. Rex and trying to infer the history of the dinosaurs. If you had just that one skeleton you would know just what to do: head back out into the desert and start digging. When we found Sedna, we, too, knew what was next: head back out into the night and keep looking. Until we found more, we wouldn’t know what this profound bit of the solar system was trying to scream so loudly in our ears. Part 3: The search for more Sednas. Sedna is on elliptical orbit (period 12000years) with quite high eccentricity. It means, that Sedna could by synchronised with object (Nemesis)what has circa circular orbit with period till 25000 years, what is also approx. Earth's precession cycle. 2.Orbit of Sedna looks so only due to our (inner, partly outer planets with Sun) opposite motion to X coming to perihelia. X is much closer than Sedna and Sedna so looks to be making its perihelia arch. It is in direction Orion-Sun-,...due to the same direction with arriving X. Now I recall that there's another "little Sedna", right? What's its name? Anyhow, my main concern about the extra-solar origin/influence in Sedna's orbit is that Sedna is not like Pluto or Eris, with a very inclined orbit in relation to the ecliptic. In fact, one of the oddest traits of Sedna is that it "knows" where the ecliptic is. This makes me think of planet and not star being at the origin, because I would not expect extra-solar objects (other stars) to have any relation with the ecliptic plane (what's the chance? must be very small). But I will have to wait for the next releases, it seems. Did you create that image of two suns yourself? Its very cool. @CT You mean I don't see 2 suns in the sky from where you live???? @Maju Agreed. Sadly, I must warn you now, the next release will not give away the answer, since I still don't know it! @Pavel You have inspired me to begin research for my next long series, on real scientific limits to whether or not Planet X can exist out there. Just because I believe there to be no scientific evidence of Planet X (and **certainly** no **hint** of evidence that anything frightening is going to happen in 2012 other than the London Olympics) does not mean that something distant is out there. I'm going to put together the best science on the subject and see what real limits we can find. But I want two suns. I'm moving to Pasadena. "Sadly, I must warn you now, the next release will not give away the answer, since I still don't know it!" I imagine if something new would be know we are more likely to learn from the media first, right? Anyhow, there's not been a full-sized planet discovery in more than 150 years, so I guess there's no particular reason to expect one in the next weeks/months/years. But everything comes for the patient ones. Hi Mike, I think that it is very good decision. You know my historical, astronomical, geological,.. proofs for X existence. Yes, there also anti proofs for X, mainly fact that X is invisible till now. But, there are also those ancient descriptions, depictions that X is invisible till time when X is closer than Jupiter or even than Belt of asteroids,...so it means that X is small but very heavy. Maybe some more data from Milagro Los Alamos,...(Gus Sinnis, Brenda Dingus, Gary Walker)can help more. Probably they would communicate with you. They didn't want to speak with me directly about details,...There is immense interest of public about X, 2012,...I think that it is worth to search due to this interest, due to changes what X could cause on Earth,..
Don't these comments go through approval? I guess the conspiracy theorists would think it's a conspiracy that their comments weren't approved? I love the "put together the best science" line, I'll have to use that some time. Meanwhile may I ask which is the furthest object detected in the solar system? Is it still 2006SQ372 (semi-major axis 2000 AU)? Looking forward to next week's entry! I'll go for the first explanation, a "planet", but about five Jupiter masses. I think it explains periodic mass extinctions on Earth quite well. Mike, I don't see how Neptune would crank some of the Kuiper belt objects into some of the wilder orbital inclinations out there, for instance, the 44 degree inclination of your most famous discovery, Eris. Ed Belbruno asked me, if Eris was the lost moon of Triton as I thought at the time, how it got it's inclination. (Note, later I saw a collision between my flyby objects and realized that it was Haumea that was the lost moon of Triton; high density, collisional family, all kinds of indicators). So I put that on GravitySimulator. Even with Eris making very close (~350,000 km) flybys of Neptune, and even with Triton helping propel it, I couldn't get better than about 30 degrees. Encounters after getting Eris at that inclination usually resulted in the inclination getting lowered. It's the Kozai mechanism, you can trade eccentricity for inclination or vice-versa but the product of the two is a constant. The Kuiper belt should be flat as a pancake. The fact that it's not is why you're famous (deservedly so, thanks for looking, I REALLY appreciate it). Something - something big, much larger than one Earth mass - has wrecked the Kuiper belt and has also resulted in an abrupt cutoff of said belt at 55 A.U. Something needs to explain this cutoff and also the high inclinations. If one object can explain not only these, but also periodic mass extinctions, then maybe there's only one object and it exists. You have noted (somewhere on the vast internet) that we are highly, highly fortunate to be seeing Sedna so close to the Sun. For most of it's 12,000 year orbit, it's way too far out there to see. Or, maybe instead of being fortunate, there are a whole bunch of invisible Sednas parading past the Sun and we see the one that happens to be closest right now. Well, I like the second explanation better and thank you for both of them. That would mean the Planet X/Nemesis/Tyche object had a large population of moons/planets. It's Hill sphere would shrink as it approached the Sun and the outermost objects would get stranded and would go into independent orbits around the Sun. Maybe we're UNlucky and normally there are several to be seen. But we see Sedna and a couple of small objects so that's what any speculations should be based on. Hi Mike – Sedna’s periodicity is in 2:1 resonance with the orbit of the companion star hypothesized by the Indian astronomer Sri Yukteswar in 1894. Yukteswar suggested that our sun’s motion around the common center of mass was the primary cause of the observable we call precession (in contrast to the lunisolar theory of precession that requires a static solar system). I plugged his numbers into a model and found it to be highly accurate in predicting changes in the precession rate. In fact, if you compare Yukteswar’s 1894 moving solar system model of precession with Newcomb’s 1897 precession equation, the binary model was 41 times more accurate over the next 100 years (based on P rate in Astronomical Almanac of 1900 and 2000). This implies that the bulk of the observable of the stars moving retrograde across the sky at about 50”p/y is actually due to motion of the solar system frame relative to the VLBI reference points, and very little due to local gravitational forces tugging on the oblate earth (although that local dynamic does cause nutation). Of course no companion star has yet been found but it shows your speculative ideas concerning a rogue star might not be so rogue after all. Incidentally, it may also solve the IAU’s problem that the precession equation is “not consistent with dynamical theory”. Keep up the good work! I am kind of hanging out for the discovery of more Sedna class objects. Perhaps when the large Synoptic Survey Telescope comes into service in the middle of the decade there could follow slew of discoveries. From my understanding the LSST would be well suited for "Sedna searching". What would be most intriguing is if nothing else like Sedna is found at all! @CT I live in Seattle. I'd be happy if we had ONE sun! 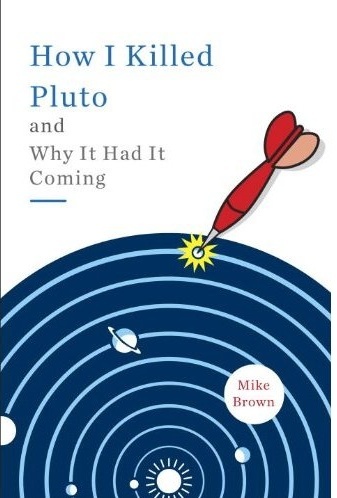 @Mike I keep expecting to hear a report about brown dwarves from WISE, and the fact they haven't said anything makes me think they didn't find anything. (My hypothesis is that if they'd discovered a "star" closer than Proxima, they'd go straight to the press.) Anyway, I'd guess the WISE results will be a big help as far as placing constraints on existing objects large enough to be responsible for Sedna. That raises the question of what sort of mission could conclusively eliminate the possibility of any body close than the Oort Cloud having put Sedna into its place. What is the inclination of Sedna, is it close to Pluto's, and is there any possibility that Pluto's inclination to the solar system might also be caused by the same body that perturbed Sedna? Hi Mike, a very interesting article (Both parts 1&2),thanks. Aside from some of the more 'crank' theories out there in webland, there appears to be growing conjecture (Indeed signs of early theoretical evidence) that there may really be 'something out there'. No coincidence either that Neptune was 'discovered' using mathematical models and theory long before it was actually observed. Can we not model the current orbits of all known solar system objects, on a computer, to try and determine the existance or position of a large object or at least narrow down the required search area? Given that Jupiter is self illuminating in IR, wouldn't WISE, Spitzer or Herschel easily be able to observe any similar sized IR emitting light source that lies closer than our nearest known star? "I think it explains periodic mass extinctions on Earth quite well." Just in case someone reads this and to satisfy my SIWOTI urge: as I noted under the first article in the series, there are no observations of periodic mass extinctions in the modern more extensive fossil record and in fact auto-correlation studies rejects it firmly. (Again, ref not handy but can provide if asked.) Nor, I believe, periodic iridium anomalies. Moreover, we now know that the KPg impactor was a one off, see the latest review paper (2009, I believe). The culprits were sulfur (main culprit) and calcium containing rocks, which lies spotty as seen by impactors and are modern only (as they are caused by the biosphere itself! ), which severely restricts the risk for yet another in the remaining 0.5 - 2 Gy of biosphere lifetime. And no earlier impactor has likely caused extinctions, and would not be expected to with the above background. I'm fairly excited by the article's third hypothesis, since with the above observational background alone it is the most likely! Any early impactors set off by the mechanism would have drowned in the LHB/tectonics background. As I mentioned in my previous comment (now on hold for eventual approval), this is not what we see, modern observations and papers reject firmly some of the earlier assumed tests for more massive solar bound objects. The case seems more difficult, at least from the outside. Also, I'm curious about "theoretical evidence", when it is observations of Kuiper belts objects that are best constrained so far, see how the particular hypotheses drowns in the new ones. What about dark matter in that vicinity causing the necessary gravitational pull to reflect the elongated orbit. Would explain why it has been hard to detect the "unknown" object causing the orbit? The apparent luminosity of the full moon at 600 AU works out to an absolute magnitude only a little less than the Sun's. Presumably the likeliest perpetrator would be a much dimmer star? Suppose in the early history of the solar system, there had been a population of mid-size (Earth to Neptune, say) worlds in elliptical orbits with aphelia out near 75-80 AU but perihelia of 5 to 10 AU. A world like that could tweak Sedna-like bodies at aphelion but be tweaked itself by Jupiter and Saturn at perihelion. After it placed Sedna in the current orbit, it could be eliminated from the solar system by an encounter with one of the giant planets. (Ejected, dropped into the Sun, dropped into a gas giant.) In essence, it would be a middleman of influence, bullying small bodies in the outer reaches, but being bullied itself in the mid-outer solar system. For this to make sense, there would have to have been a pretty large population of such worlds, and then a highly efficient dynamic for eliminating absolutely all of them. If Sedna is truly isolated doesn't that technically make it according to you Dr. Mike Brown a planet? a captured "extra-solar dwarf planet" ..."
See my blog that I am slowly fixing up and yes if you deny Pluto's planethood you can still see it. I'm not trying to change votes only hearts towards Pluto. Who knows what we'll find when New Horizons reaches there. Bernard: There is no physically plausible way to put Sedna in place and have nothing else out there, so no chance it will be isolated. But, geez, I sure would like to actually find some of those other guys one of these days. No arguing with you about New Horizons, though. It will show amazing things. "Bernard: There is no physically plausible way to put Sedna in place and have nothing else out there, so no chance it will be isolated. But, geez, I sure would like to actually find some of those other guys one of these days. No arguing with you about New Horizons, though. It will show amazing things." Well I will defer to you then and await what is out beyond Sedna. It sure will be interesting and New Horizons will indeed be something great. I as a layman think it will probably shed more light on the Solar System than anything so far and help us understand more Sedna. I agree with you that the IAU in Prague was voting with no great thought but frankly I find that a relief. If they had put deep thought into how to define a planet I think we would have been worse off. If Neptune and Uranus "switched places" at some early stage in their history, could Uranus have once been in an orbit that would have allowed it to eject Sedna? Whatever put Sedna in its place probably also skewed Pluto's orbit as both are similarly inclined to the plane of the solar system. But apparently Pluto remained close enough to the sun to avoid the forces that elongated Sedna's ellipse. points in the same general direction of the sky as the aphelion of Sedna. When you couple with with other data (such as Pluto incline), what does that indicate to you? Mike,I am writing a paper and would like to know more facts about Sedna. I am a very excited "Astronamer in Training". Planet X does not exist. A likely cause is that Sedna started his life as a moon of Saturn called Gaga. A close encounter with another Gas Giant sent Sedna out of its Cronocentric orbit into a Heliocentric orbit beyond Neptune. A star swinging by subsequently perturbed Sedna into his current orbit. I am really not qualified to do this. But here goes nothing. I think the key is much closer to home than we think. I suggest that Venus is a recent addition to our Solar System, perhaps within the last 100,000 years or less. The retrograde spin that is longer than its year would be the obvious evidence. What if this star is orbiting in an orbit of 50 degrees off the orbits of the planets and moving in the wrong direction. Facing downwards from the North, all the planets are rotating around the Sun in a counter-clockwise direction. But if this star is moving in a clockwise direction, wouldn't the computer filters eliminate it off the images? If it is a very small and old dwarf star, would it also be extremely small and massive with a load of heavy elements rather than a gas giant? Taking it one step further, would it act like a planet with moons? If the moons are big, then you have something like Venus. This all imagination on my part, and I really do not have any evidence. If this so called dwarf star is at a very high degree off the orbits of our existing inner solar system, and if it is so far south of the equator, would it actually show up on our infrared scans? The critical point being if it is traveling in the wrong direction . . . Per Gordon Shumway in the mid 80s the next planet out the Alvin followed by Dave.